How do i get a Spanish NIE Number? Here at MY NIE we would like to take a few moments to answer all your Spanish NIE Number Questions. If you need your NIE Number why not visit our home page and read more. Get your NIE Number appointment in 24hrs. So, What is a Spanish NIE Number and why do I need one? 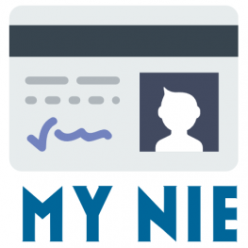 A NIE is a Tax Identification Number in mainland Spain. In Spain it is commonly known as the Número de identidad de extranjero. Spanish NIE Numbers have recently been linked to your recidency so the number will also show on your tarjeta de residencia. The number is issued by the Police in Spain. You will need your Spanish NIE Number to buy a house, rent a flat, connect to services such as water, electricity and internet and for getting a work contract. You NIE Number is made up of a letter followed by seven numbers followed by another letter. If you obtained your number before July 2008 the starting letter will be an X and the end letter a Y. Your NIE Number is required to buy a property, boat or car and is required when you start working or claiming benefits. Do I get a NIE Number Card? No. Despite common misconceptions that you get a NIE Card your number will actually be given to you on a piece of A4 Paper stamped by the Police. See an example of a Spanish NIE Number below. Although commonly called the NIE Number card you will in fact receive your NIE Number on an A4 piece of paper which will be stamped by the Local police. It will also include your date of birth, nationality and a signature. 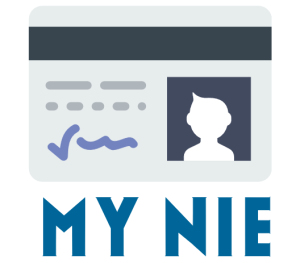 How do I apply for my NIE Number? You have various choices on how to get your Spanish NIE Number. You can use our service at www.mynie.co.uk, you can fill in the paperwork your self and make your own appointment or you Ask your solicitor to do it for you. The system MY NIE uses is the cheapest way to ensure all the paperwork is in proper order. I don’t have an address in Spain. Can I still get my NIE Number? When you apply for your Spanish NIE Number you will be required to give a Spanish address. This does not have to be a permanent address, for example a hotel address can be used. As mail is sent to this address occasionally its best to change your address once you get settled. Yes, no problem! Just let us know on our fast booking form and we will sort it out. A man in a bar told me I can just walk into any police station and get a NIE Number. Is this true? If only life was this simple…. In times gone by possibly this may have been the case in Small towns and villages, but with the number of people moving to Spain the Spanish brought in a streamlined booking system. We can say with 99% certainty that you will not get your NIE Number without an appointment. Do I have to make an appointment to get my Spanish NIE Number? Yes, in most area’s of Spain you now have to make an appointment to obtain your NIE Number from the local police station. You can make this appointment your self or let us at MY NIE do the hard work, book it and do the paperwork for you. If you have lost your Spanish NIE Number unfortunately the system is the same as applying for a new NIE Number. You will need an appointment at the police station and will need to fill in all the forms again. Here at MY NIE we are able to do all that for you. Its helpful if you either know your NIE Number or have a copy of the certificate available. If in the unlikely event you go to the police station and they are unable to find you registered on there system you will have to apply again for a new number. What do I do when I get to the police station to get my NIE Number? On the morning of your appointment you will generally be required to attend the Police Station by 9.30am. Even with the new booking system the police only issue a certain number of NIE Certificates a day so its best to not be late. The wait can sometimes be long, so we recommend you take a book or magazine. How do I know what police station to go to for my NIE Number? Once we have made your booking we will email you over all your paperwork. This email will have a Google Maps links to the police station you are required to attend to obtain your NIE Number. How many Copies of the NIE Number documents do I need to print off? We recommend you print off 3 copies of each NIE Number document. Do I need to pay a tax/fee to get my Spanish NIE Number? Yes, you will need to take form 790 (which we will send you) to a local bank and pay the current fee of around 9.75. The bank will stamp your copy and you take this with you to the police station. Will I be given my NIE Number certificate straight away? Its unlikely. You may be asked to come back latter in the day or possibly another day to collect your NIE number Certificate. Please remember to take your passport/ID with you as without this you will not be given your Certificate. 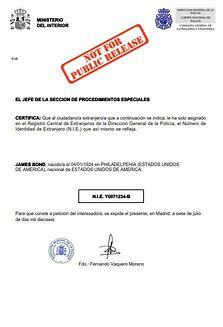 NIE stands for ‘Tax Identification Number’ and is used for all official dealings in Spain. Do I need a Spanish NIE Number to drive a car in Spain. No, you can drive your car from England and drive a hire car in Spain. You will need a Spanish NIE Number to buy and insure a car in Spain though. What area’s of Spain can MY NIE get me a NIE Number? MY NIE is based in the area between Calpe and Alicante. However we can sort the paperwork for you and book your appointment anywhere in mainland Spain. I’ve tried to phone MY NIE and get an answer phone. What can I do? Unfortunately the area of Spain we are in has intermittent telephone signal. Some time, but very rarely this means you wont be able to call us. The very quickest way to contact us is via our live help or send us an email via our contact us page. We will get back to you as soon as possible. Hi, ive just moved to Spain and need my NIE Number urgently. Can you help? Next Next post: Need a Spanish NIE Number in Malaga?